The primary goal of this renovation was to economically update the dark, 1970’s era interiors of the Westcott Administration Building. The interior aesthetics were improved by using a light material palette of natural wood, porcelain tile and patterned glass. The general lighting was improved and accent lighting was used in key public areas. 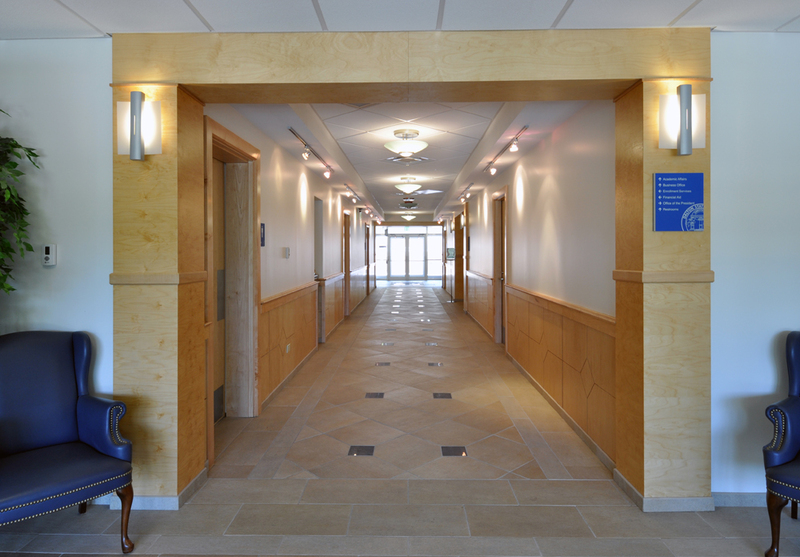 The floor plan was redesigned to create individual suites for the various departments of the business office and key life safety and acoustical improvements were implemented. The work was planned and phased to allow full occupancy in half the building during construction.